I found this photo in an antiques store a few years back and I love it for more than one reason, but mainly because the woman on the right looks just like Ellen Degeneres. Hilarious, yes? I'm dating this around 1895, unless someone tells me otherwise. 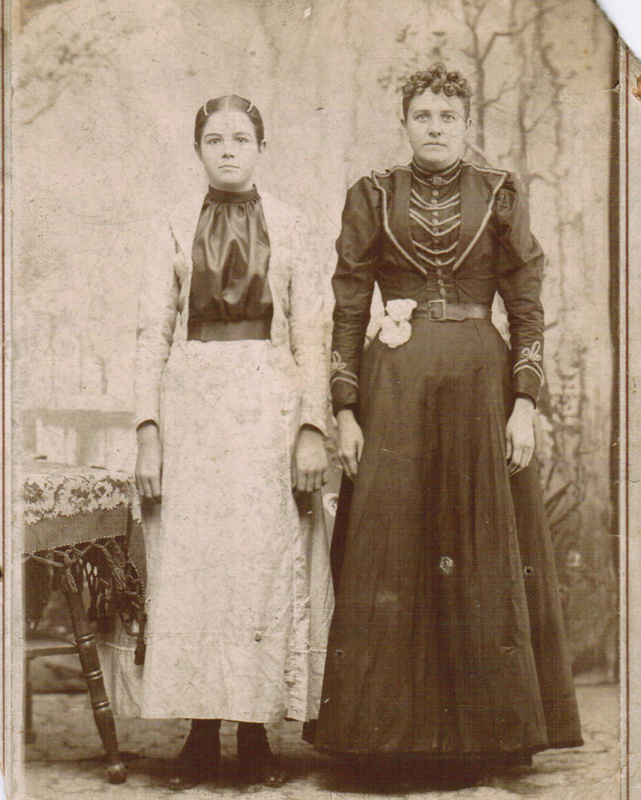 The two ladies are cousins, according to the written information on the back. I think it's interesting how differently they are dressed -- the one on the right is not as tightly bound, has a shorter skirt, and taut hair pulled by with hairpins of some sort. The fabric of her suit seems to be heavier and more rich. The one on the right is dressed more fitted, with a floral at the waist, what looks like soutache braid trim, and curls, curls, curls. Can you imagine what it took to get that hair done back then? And without hairspray, how easily all that work would be lost, if the weather took a turn? OMG, she does SO look like Ellen. You should email the picture to her show. I bet she would show it on air.